If you have insurance: Ask your insurance company if you have any questions about what healthcare services are covered and what costs you may be expected to pay yourself. This is especially important if you have an elective procedure that is scheduled ahead of time. Start by asking your doctor about the specific name of the procedure, the insurance codes and a list of tests or follow-up care you may receive. Then ask your health plan for a price estimate. It’s also important to ask the insurance company about the network status of the physicians, hospital and other providers that will be part of your care. That includes not only your own doctors but additional specialists, like anesthesiologists or radiologists that may help care for you in the hospital. Also be sure to ask your insurance company if you need pre-approval or pre-authorization for your procedure, and where you stand in meeting any deductibles or other out-of-pocket costs. If you need emergency care: All hospitals are required under federal law to provide emergency care to all individuals, regardless of the person’s insurance status or ability to pay for that care. In fact, New Jersey has even stronger laws to ensure that everyone will get the hospital care they need. However, those that have insurance coverage or can afford to pay their medical bills will have payment responsibilities. In the case of an emergency, the hospital will first take care of you and stabilize you in the emergency room. Later, a hospital financial counselor will talk with you or a family member about insurance status and other payment issues. If you’re out-of-network: If you have insurance, be aware that not all hospitals and physicians will be part of your insurance network. That’s where the term “out-of-network” comes from. If a hospital or physician is “in network” with your insurance plan, they have agreed to a payment amount for any services. Your share would be part of your copayment or deductible. In addition, New Jersey law ensures that patients receiving emergency care will be assured in-network coverage and rates. However, if you decide to use a hospital or physician that is “out-of-network” for a scheduled procedure, you may be asked to pay more of the bill out of your own pocket. The best way to find out whether a hospital or physician is in your insurance network is to contact your health plan ahead of time. 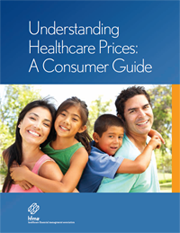 Under the Affordable Care Act, insurers are required to provide price transparency information on their Web sites, and this information takes into account pricing for both hospitals and physicians, along with specifics about what each plan covers. If you’re on Medicare: Medicare has many different parts, and not everyone has the same type of Medicare coverage. For example, those who have chosen the Medicare Advantage plan will have different coverage for hospital care than the traditional Medicare Part A. The best way to be sure of what your Medicare plan covers is to call 800-MEDICARE, or visit the Web site at www.mymedicare.gov. You may also check your Medicare & You handbook. If you’re on NJ FamilyCare (Medicaid): NJ FamilyCare provides no- or low-cost health insurance to individuals based on certain income guidelines – specifically, for those whose incomes are below 133 percent of the federal poverty level. Depending on additional factors such as whether an individual is a parent/caretaker, dependent child, pregnant woman or is aged, blind or disabled, NJFamilyCare coverage will pay for hospital services, doctors visits, prescriptions, nursing home care and other healthcare needs. To determine if you are eligible for NJ FamilyCare, contact the N.J. Department of Human Services’ Division of Medical Assistance and Health Services at 800-356-1561 or www.njfamilycare.org. If you don’t have health insurance: New Jersey hospitals provide care to all who need it, regardless of their insurance status or ability to pay. That commitment is part of hospitals’ mission, but it’s also required by New Jersey law. If you don’t have insurance coverage, there are many programs to help you access healthcare services. The Affordable Care Act has created a new online marketplace at www.healthcare.gov to help you shop for health insurance. In addition, the NJFamilyCare program at www.njfamilycare.org has been expanded to provide coverage to more New Jerseyans, depending on their income. New Jersey’s statewide charity care program also provides free or discounted hospital care, based on the patient’s income. Ask your hospital’s patient financial services or patient access representative about qualifying for NJ FamilyCare or charity care. If you don’t have insurance but earn too much to qualify for those programs, talk with a patient financial services or patient access representative at the hospital to see if you qualify for financial assistance. All New Jersey hospitals have such programs to assist patients. Discounts and payment plans are among the options often provided by hospitals.